If you want to finally achieve that elusive “bicep peak”, then you need to do this bicep peak workout. 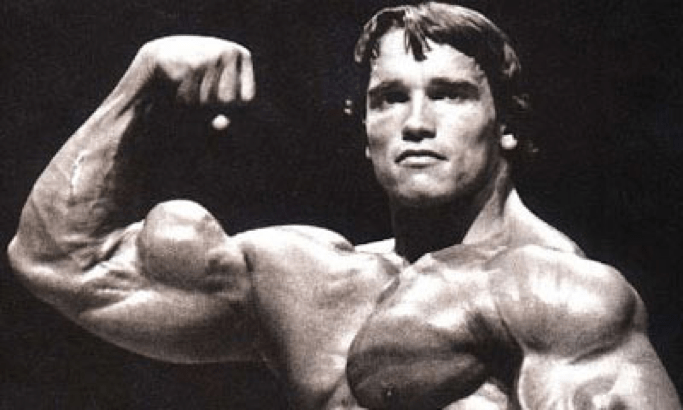 Building a well-shaped, and prominent bicep peak seems to be a priority for many lifters. And although you’ll here a lot of people say that it all comes down to genetics, this is only partially true. Those with shorter muscle bellies generally are able to to develop a more prominent peak. A perfect example is Arnold Schwarzenegger himself. He has relatively short muscle bellies (in terms of his biceps). As you can see, this enables him to develop a taller bicep peak. Conversely, those with longer muscle bellies will have arms that appear fuller. But they will have a less pronounced bicep peak as a consequence. 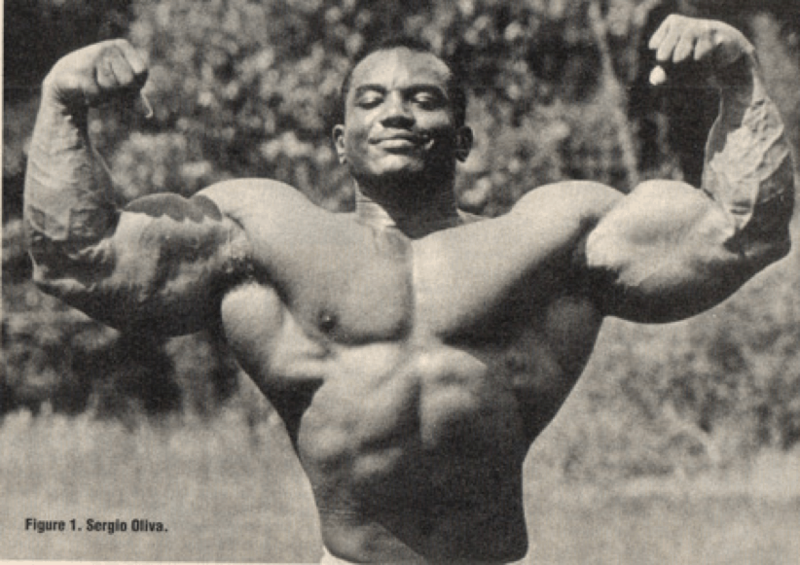 A good example of this is bodybuilder Sergio Oliva. 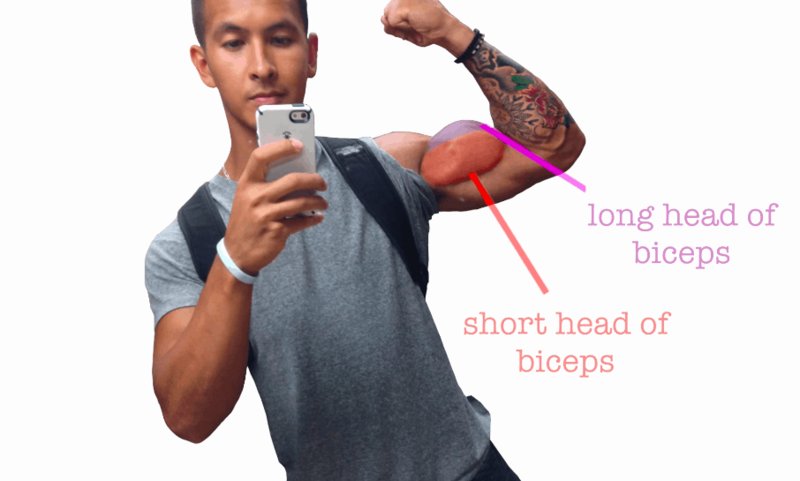 However, regardless of whether you have long or short bicep insertions, you can still dramatically improve your biceps peak by understanding its anatomy and what actually creates it. 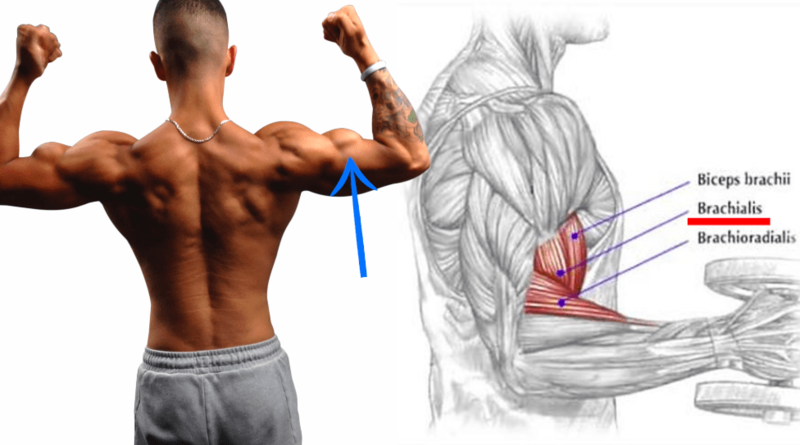 As you probably know by know, the biceps is a two-headed muscle consisting of a short head and a long head. The short head is located medially on the arm (or more on the “inside”). The long head is located laterally on the arm (or more on the “outside”). So when you flex your arm like I’m doing down below, the short head is what makes up the width or thickness of the bicep with and long head is what makes that peak in the bicep. And when flexing from the reverse angle, you can see that the long head is the only head present and is responsible for that peak. 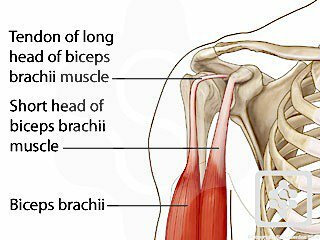 It should also be noted that the brachialis, as labelled in the picture, is also an important muscle in terms of building your peak. Anatomically, the brachialis physically “pushes up” the long head thus creating the illusion of a bigger peak when properly developed. Therefore, in terms of developing biceps, the long head, as well as the brachialis, are what you need to prioritize. But keep in mind that proper development of the long head is not only essential for that peak but also helps create fuller biceps that look more balanced and developed from all angles. And, as shown in several studies from the Orthopaedic Journal of Sports Medicine, the long head of the biceps also acts as a dynamic stabilizer of the glenohumeral joint. Meaning that neglecting its development may compromise shoulder stability and lead to problems for those who lift weights regularly. Thus, long head development is essential and in this video I’ll give you guys 4 tips to help you prioritize the long head and improve its development as well as the brachialis. As you may have seen in my bicep workouts article, the long head of the biceps can be emphasized through proper exercise selection. Thus, the best “peak exercises” are the ones that emphasize the long head over the short head. And if you recall, the long head of the bicep crosses over the shoulder joint whereas the short head does not. This means that performing exercises where the upper arm is held behind the body places the long head in a greater position of stretch compared to the short head. Thus, based on the length-tension relationship of skeletal muscle, it’s now able to generate maximal force. One of the best exercises to accomplish this is incline dumbbell curls, since as you can see the upper arm is held behind the body. This enables the long head’s activation to be maximized and active through the whole range of motion. Some other exercises that apply a similar concept are cable curls where the arm is positioned behind the body throughout the movement. Another option is the drag curl, where the bar is lifted as close as possible in front of the body and the elbows are positioned behind the body. Another way to emphasize long head activation in your exercises is by adjusting your grip width and range of motion during curls with a bar. But you want to make sure your elbows don’t move forward in front of your body as you perform the curl with a narrow grip, as this will target the short head more due to active insufficiency of the long head when in this position. So use a grip closer than shoulder width while ensuring your elbows don’t move in front of the body during the process. In addition, as shown in this study by Brown and colleagues, the short head appears to be more active in the latter part of a curl while the long head is more active in the early phase. How can you apply this information? Simple. 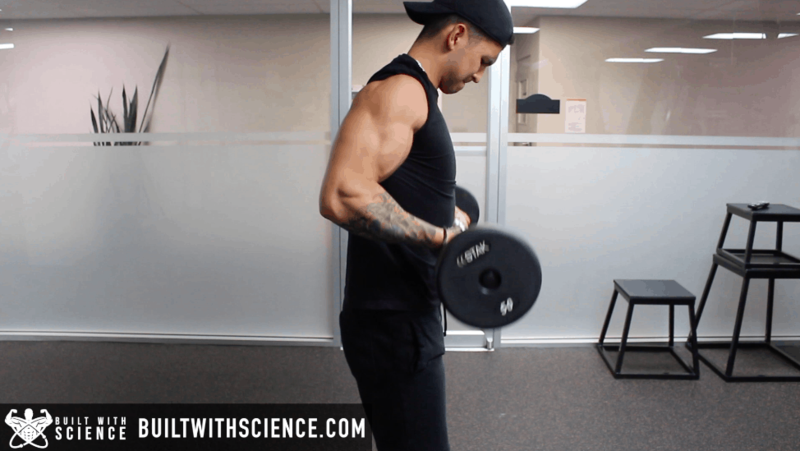 After performing full range of motion curls, you can then switch to partial reps where the elbows come up to just 90 degrees. This will further emphasize the long head of the biceps and favour its development. Another way to emphasize the long head in exercises that involve the use of dumbbells is by supinating your wrists to a greater extent. This means that the involvement of each head with regards to supination depends on the extent to which you supinate your wrists. For example, during a concentration curl, if you supinate your wrists from a neutral position to where the palms are up then the short head will mainly be involved. However, if you start in a supinated position from the beginning and then fully supinate your wrists so that your pinky points up, then you can preferentially target the long head. You can even feel this phenomenon by just supinating your wrists to a greater extent without any weight and feeling your long head being activated. 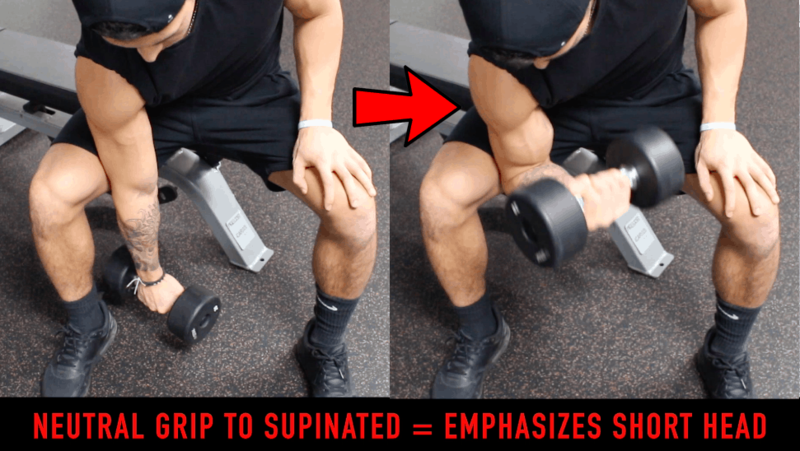 This is something you can apply not only to concentration curls but any biceps exercise that involves the use of dumbbells where supination is possible. 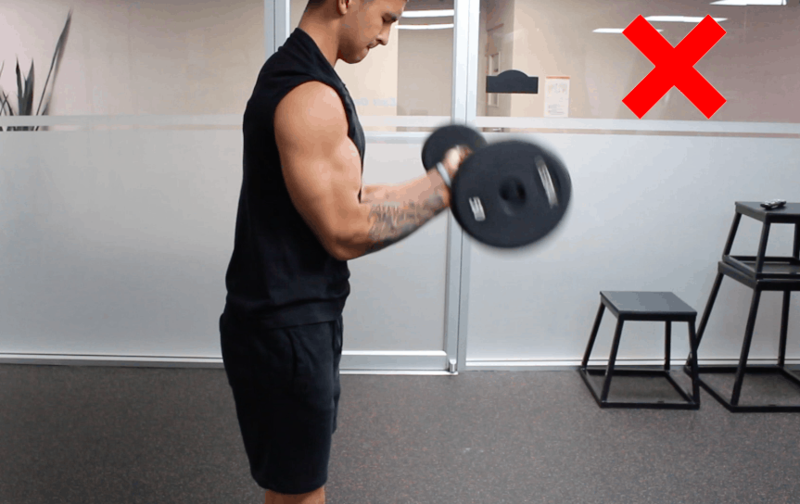 This last tip is going to be to strengthen the brachialis, which as I mentioned earlier helps push your biceps up and also helps create a fuller looking arm. So how can we best target it? Well, the brachialis inserts onto the ulna rather than the radius. Simply meaning that it only has one purpose and that is to flex the arm. 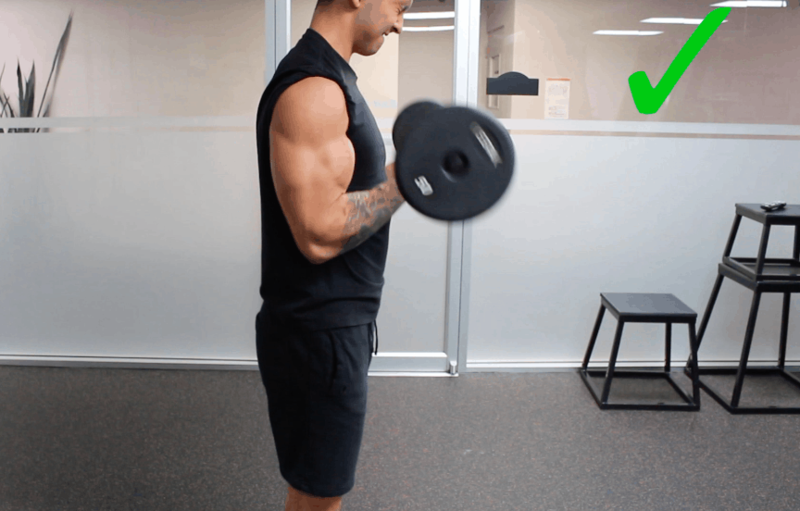 Some exercises that take advantage of this are reverse curls with a bar or dumbbells, or hammer curls which will also help with overall biceps development. So how can you best utilize this information into your training? You can use this in one workout or split them up into your other workouts throughout the week which I’d recommend. And then overtime you can add in movements that prioritize the short head once you’re satisfied with your long head development. This way you can keep the two heads balanced within your training. Hope you guys enjoyed this article! Feel free to let me know if you have any questions down below. And give me a follow on Instagram , Facebook , and Youtube where I’ll be posting informative content on a more regular basis. Cheers! thanks will certainly try this routine. I Stopped seeing growth in my arms for the last 3 months. Stick to the same arms routine for the few months and focus on getting stronger with them. But also make sure your delts and/or traps aren’t taking over when training arms. This is great stuff. I can see you put a lot of work into it. Keep it up and keep it free – you know what it’s like to be a student. No problem! Glad you like the content. Great information. I have a problem building my Biceps, but my triceps are easy to build . I will defiantly try this. Awesome man. Really appreciate this info! Very scientific content and simple presentation. I like it lot. I can’t wait to get more of your videos. How many seconds do you take as a break between sets? Thanks man, this is a great help and much appreciated. Your presentation is exactly what I’ve been looking for. The muscle overlay during the exercise is very nice for visual learners. Also the graphics in your videos, along with clear explanation of how the muscles work, make it so that I don’t have to go to school for years to learn what I want to know. Thank you! Thanks! Glad you enjoy my content. Another great article backed by evidence-based science and practical application. I always enjoy your sharing your information. Great information, ill be trying out this routune but what weight range should I be working at? eg: mid, max, light? Im a female and its taking me a very ling time to grow my bicep peaks. I work them twice a week with pyramid training. I max out at 12kg per single arm curl 1rep. should I perhaps work with 8kg for your routine? Use a weight that enables you to hit the desired rep range of each set. Can you please give me an arm workout routine. but both are different. That’s why I am confused. Please help me, give me a proper routine for bicep & tricep to make my arms bigger. This one is geared towards the biceps peak (long head of the biceps). All of them are good routines so it depends on where you’re lagging. I’ll clear this up in future videos. Hey Jeremy, I’m 15 years old which means I’m pretty young. Do you the best exercise to make my biceps grow to get that peak and the food I need to eat in order to do that?